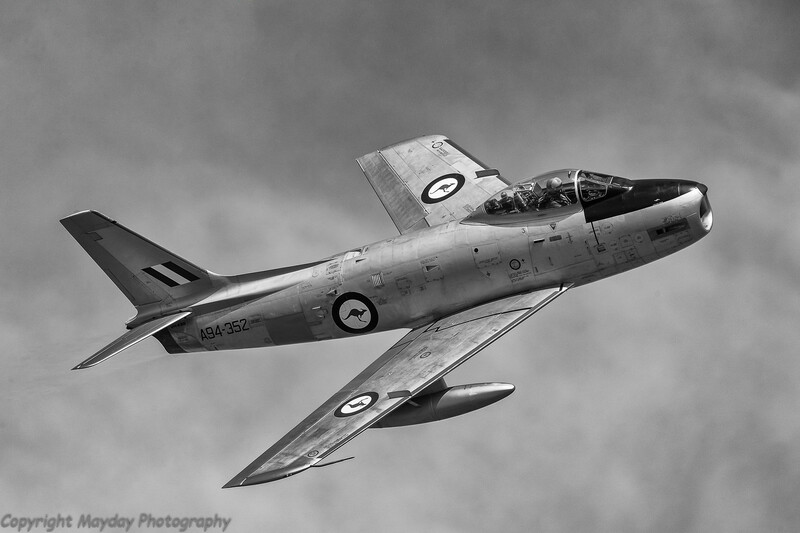 Commonwealth Aircraft Company (CAC) CA-27 Sabre. The Aussie Sabre, powered by an Avon Engine, armed with 2x30mm cannon and reputed to be the envy of many a USAF Sabre pilot. ernest dlutek facebook page <-- Like? Excellent...I really like that shot!! A truly amazing shot! !...very appealing. That plane just looks right in black and white. The Thunderbirds display team performed at the airshow in Koksijde (Belgium) Juli 2011. Not really an air show but a Memorial to the Market Garden operation in WWII (September 1944). In the Netherlands known as the ' Slag om Arnhem' something like a Battle of the city of Arnhem. Every year in September there is an memorial flight with about 400 parachutist from various countries e.g. The Netherlands, Great-Britain, USA en even Germany to honor the great guy's who did this for real.... in 1944. I think B/W will do here and I added a little grain to get the right mood but I'm not 100% sure about the latter. Market Garden Memorial 2010.jpg by DutchCorps on Flickr.